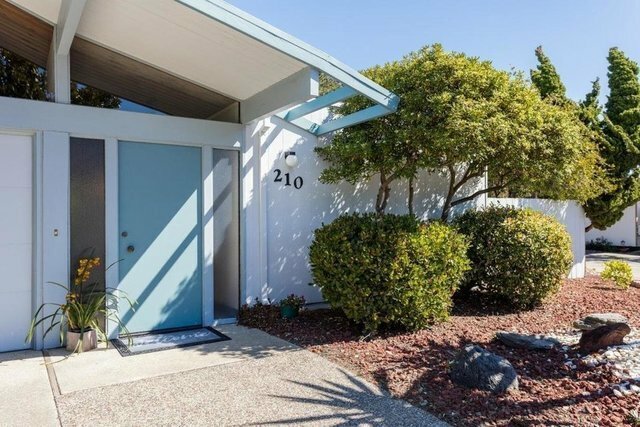 Welcome to this charming three bedroom, two bathroom Eichler home in Foster City. Great opportunity to own a gorgeous Mid-century modern home. True California living with an abundance of natural light and privacy, open floor plan, spacious eat-in kitchen, formal dining room with large glass sliding door leading out to the beautiful low maintenance backyard. Interior atrium with retractable roof (not included in sqft), allowing for year-round outdoor living, leads into a spacious living room with fireplace, vaulted ceilings and floor to ceiling windows. Spacious master suite rests off the living room includes walk-in closet. Ample storage in the two car garage. Killdeer Park entrance from the cul-de-sac leads to Audubon Elementary School. Also conveniently located near the Bay trail, parks, restaurants, Hwy 92,101 for Silicon Valley employment, highly rated schools and more! Add a few personal touches to make this your dream home. A true gem you don't want to miss!